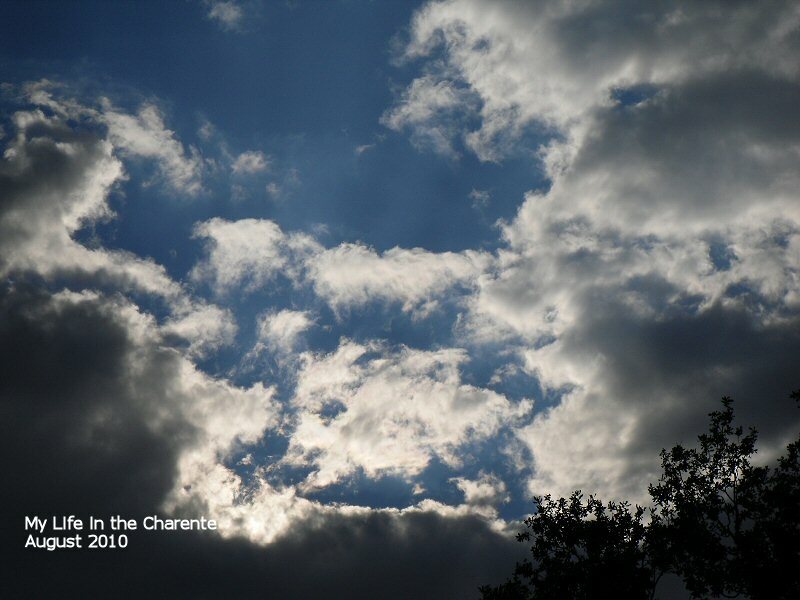 My Life in the Charente: Cat sitting, plus garden update. Cat sitting, plus garden update. I have to say I was very relieved to find two cats when I went to David's house yesterday. There is just nothing worse than losing somebody else's animals when you are looking after them! After three visits on the first day and seeing only one cat, (the same one), I have to admit to being more than a little worried. Anyway the guilty party was there yesterday morning looking at me with his big blue, innocent eyes and I am quite sure laughing at me. Just look at this beautiful face. 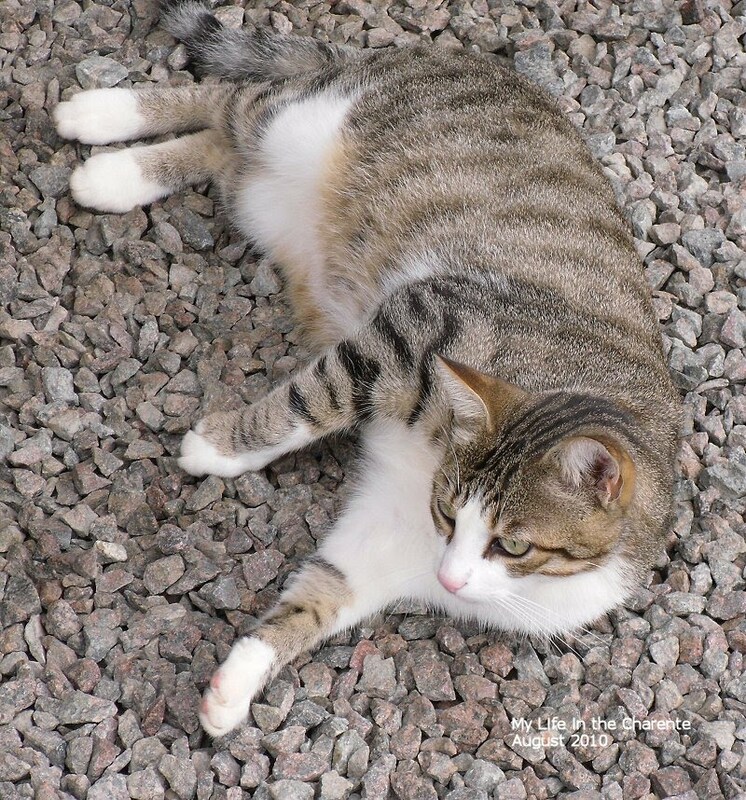 Meanwhile the other one, who had not deserted me yesterday, was rolling around outside asking me to please go and play. All's well at the moment and I hope it remains this way until David and family return from their holiday. The cats are very similar, but the top one is lighter in colour while the darker one below has a little more white on its face. They were deserted by their wild cat mother while their eyes were still closed and David's wife brought them up with the help of a doll's baby bottle. With those blue eyes, there has to be a siamese involved somewhere. Meanwhile after all the tree removal in the garden over the last week, I see that the very cheap packet of mixed seeds I bought is still producing surprises. 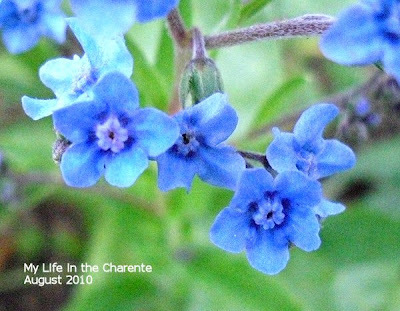 Please don't ask me what these pretty blue flowers are, I have no idea! 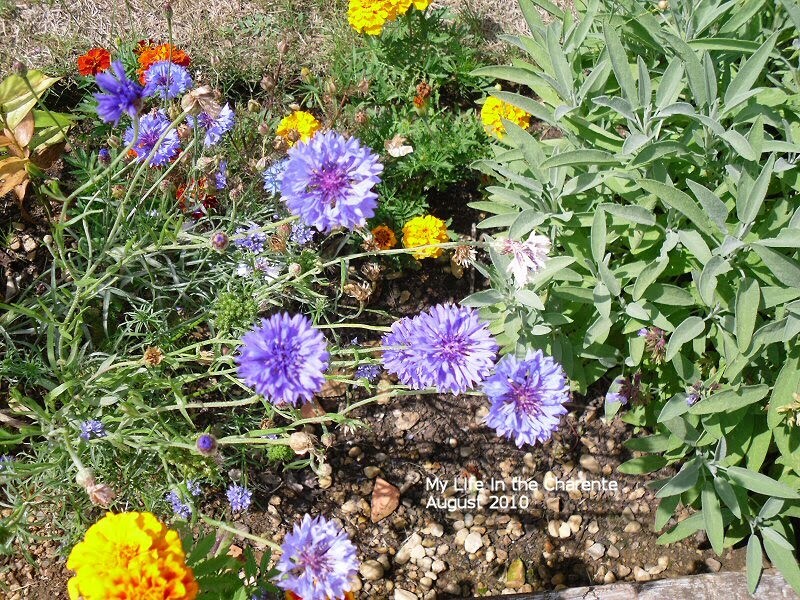 Cornflowers and marigolds with sage on the right. This small purple flower has these silvery seeds appearing. 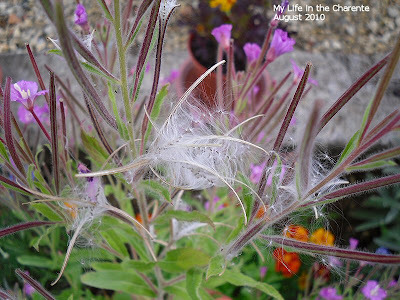 Whatever it is, I hope that the seeds will grow next year as it has been very colourful for several months. See below. This tiny zinnia has just appeared. Garlic chives - not from the mixed packet - but I am hoping they will seed and produce more plants next year. They have been very slow growing and I would like a lot more. Note the 'bug' on the bottom flower. 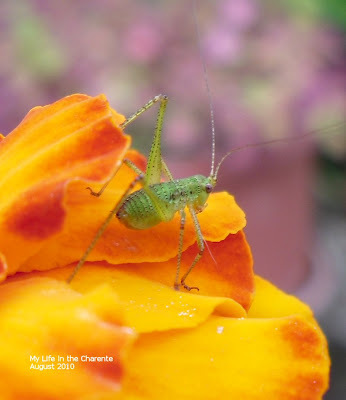 This minute little grasshopper, sitting on a marigold petal, was only about 6mm (1/4 inch) long in the body. Perhaps you can see something more interesting? Lovely photographs...I love the one of the seeds..so unusual! Oh my - they are both so beautiful - I was going to ask if they were siblings (when I saw the photos) but your post answered that .... how wonderful that they were rescued & hand reared. What are their names ? Glad the cats are safe and I'm sure you are also, Diane! I always have that fear when watching someone's pets! They are beautiful cats and I'm sure my 2 black ones wish they could get outside like that! 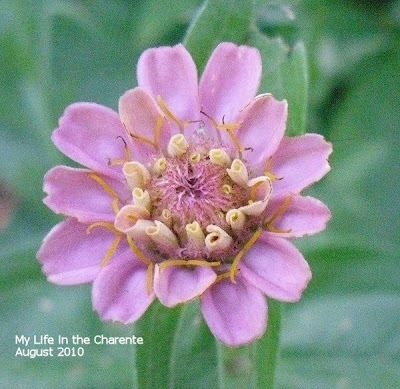 Your flowers are gorgeous, especially the zinnia. 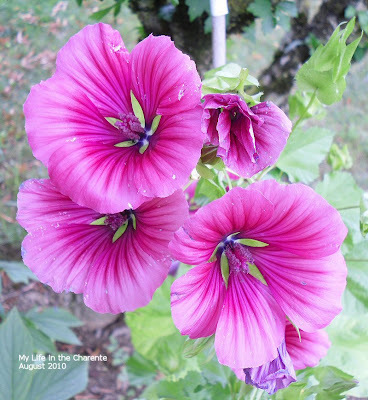 Our really hot weather with all the rain and storms ruined my hollyhocks this summer and all the flowers don't look nearly as pretty as yours. Pam, They really are beautiful cats, I sincerely hope that nothing happens to them especially while I am looking after them! Amazing photos! I am so glad you found the other cat... what a beauty! Do you have a garden for winter crops in the UK? Just wondering if you take a break or just keep digging where ever you are. Your neighbors are lucky to have you taking care of their cats. Lovely photos - the second one reminds me of my poor old Tam - boy do I miss him. I love the flowers, I was going to ask you what the blue one was until I read your comment!! I'm so glad David's second cat returned. 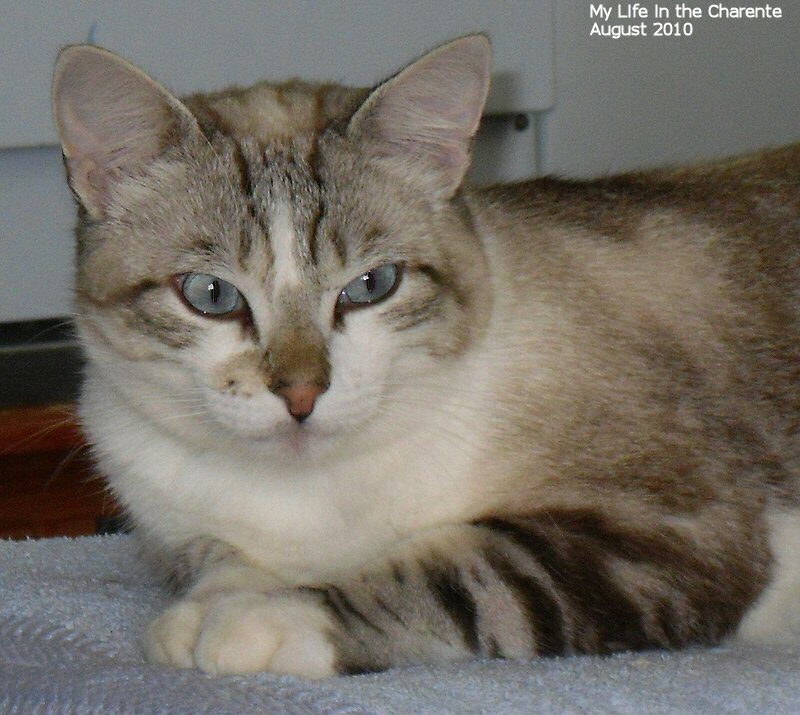 I had a tiger striped cat once whose mother was Siamese. While he didn't have the blue eyes, he did have the Siamese voice. Fred was very funny. And it's amazing that your little bargain seed packet has produced such a vast array of color for you! I was going to say a female flying fish, but am sure you know the local fauna better than I. Love all the gorgeous colors from your seed packet. Why not collect some seeds to replant next year. Doesn't seem that "missing" kitty has missed many meals. Marjie it was the best packet of seeds I have ever bought. There was such a variety and several of which I did not know. I will certainly try to collect some seed for next year. Hi Susan, the weather is not too bad although it is cooler than it was. Happy Birthday Diane! Hope you have a wonderful day! 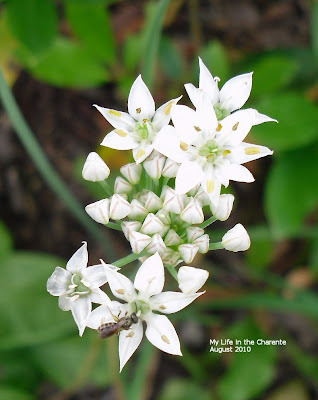 Really beautiful flowers Diane but I like the tiny katydid most of all. You're becoming more French every day! That is the South East famous apéritif!! Have a great day, Diane, and enjoy the lovely weather! Hi Paula, enjoyed your photos. The cats are beautiful - glad they are both there. It's so worrying when you are responsible for other people's animals. Excellent photos! I loved looking through them! The grasshopper was my favorite, my kids enjoyed that one! Thanks! Good morning Diane. Beautiful blooms you have. Hollyhock is stunning and that is some geat photography. Great shot of the grasshopper. The smoking - well I'm still doing it. I have been encouraging a friend who is 44 that just found out he has a blood clot in the lung and he is a smoker. I gave him a couple of my patches to try. Helping someone else I hope will encourage me to be abstinate. Anyway it is a work in progress. I'll always be a smoker but hopefully one who chooses not to smoke. Thanks for asking. Hope you have a wonderful weekend. Hi Becca. Thanks for the comments. 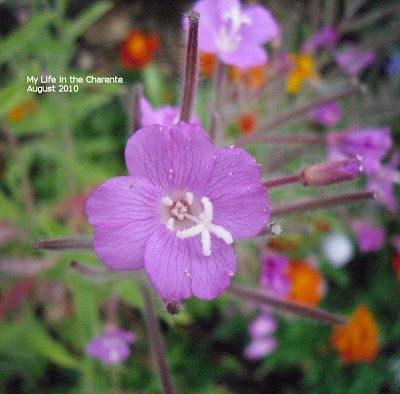 I am swooning over the garden photos. Beautiful. Glad both cats are visible now. Beautiful flower shots and the cat is so cute! Hi Diane, I am reading some of your older posts and had to look up the cat ones! Aren't these 2 gorgeous beauties. I smiled at the one playing up on you, disappearing, then appearing like nothing was amiss. Mine used to do this all the time when I was on hols (so I am told). 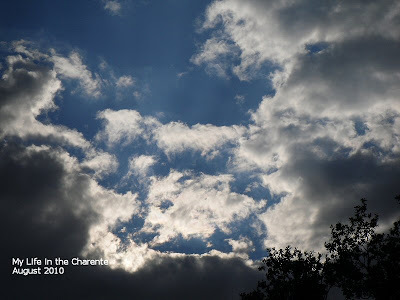 Very interesting post and lovely photos. Love this blog, keep up the great work wish you all the best.